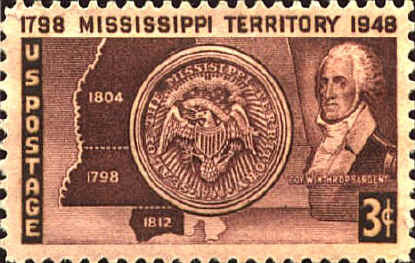 On the territorial seal the Territory is spelled "Missisippi." This has been cited as an error. On the other hand, the Oxford English Dictionary cites the spelling "Missisipee" in 1728, and "Missisippi" in 1777, so it appears to be a customary spelling of the time. If it is an error it is an error of those who originally created the territorial seal for it is spelled this way there.